When you are in the business of producing paper products, finding a warehouse for your product after production can be one of the more challenging aspects of the industry. No matter how large your production facility may be, handling massive rolls of paper can be a space-consuming feat. Warehousing off-site is easily the most logical solution for any paper company that needs the additional space. Third-party logistics companies that offer warehousing have the space and equipment to handle paper products in bulk quantities. Plus, 3PL warehouses are key for efficient distribution of your paper. 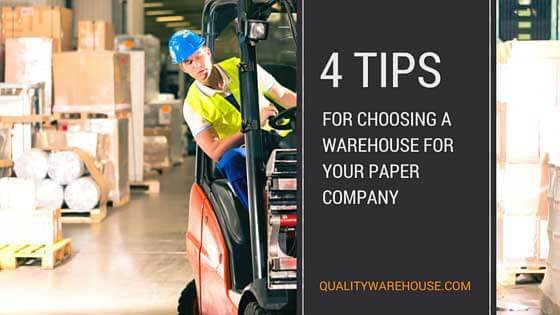 If you are looking for a warehouse for your paper company, there are four tips that you should keep in mind to help you find the best possible solution. You want a warehouse that is in close enough proximity to key distribution areas that allow you to service your customers in a timely manner. For example, if the primary customer base you service is in the northeastern part of the United States, a warehouse that is centrally located in New York or New Jersey is a good option because this will allow customers throughout the region to be serviced efficiently. So much of your success working with 3PL warehouses depends upon the service you get. When you get a dedicated customer service representative, you know you have a go to person on site who will always be in your corner. They can look out for your interests and make sure that the distribution of your paper is fully under control and on time. When you are in the business of manufacturing paper products in bulk quantities, it means that some of your product can be excessively large and awkward to maneuver, especially if it is in roll form. One large roll of paper could easily weigh as much as 6,000 pounds or more and be three to five feet in diameter. Unfortunately, not every warehouse has the equipment necessary to handle such massively-sized products, or at least not in a safe manner. To maneuver large paper products in roll form, specifically designed clamp truck should be used that can safely wrap around the roll, grasp it, and maneuver it from place to place. When you first start investigating available warehousing opportunities for your paper business, make sure that your inventory needs are able to be met. When you can find a warehouse that offers both physical inventories and computerized inventories, you can be sure that your job will become much easier. All doubt about inventory levels will be a thing of the past. 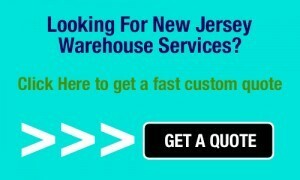 Quality Warehouse & Distribution operates a state-of-the-art public warehouse located in Edison, New Jersey. As a third party logistics provider, they offer public warehousing, freight transportation, and rail shipping and receiving solutions “stacked” in your favor. By streamlining the distribution process, our customers realize significant savings and greater control and flexibility within their ever-changing business environment.